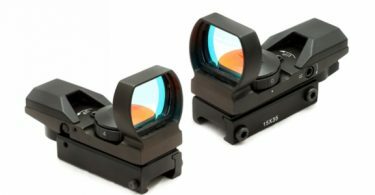 Red dot sights are specifically good for short- and medium range shooting. 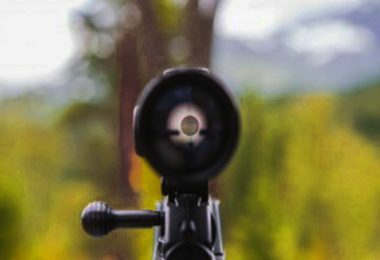 Some of the items provide good target acquisition for long-range shooting too, but they are not comparable with scopes. When it comes to picking a combat pistol sight, there are several crucial features you should pay attention to. Different light conditions should not stop red dot sights from functioning. Red dot itself should be bright, crisp, clear and visible in the day light and at night. Having brightness settings is an advantage. But it comes with the price, because this feature is more often found in scopes rather than in sights. During hunting or target practice, the least thing you want to worry about is a battery running out. The longer the battery lasts, the better it is. Some of the batteries can last up to 10 years. There are sights that require no battery at all, and I’ve listed them, too. The best combat pistol sights are waterproof and fogproof. They are ready to go in any environmental condition. If we are talking about the items that combine scope features and red dot sight, I should mention lens coating. Multi-coated lenses transmit light better and prevent reflection of all air-to-glass surfaces. 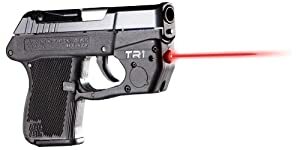 One of the most important advantages of ArmaLaser Kel Tec P3AT P32 TR1 Super-Bright Red Laser Sight with Grip Activation is 635nm technology, which makes this laser up to 5 times brighter then 650nm lasers. Red laser is automatically activated by a grip. As soon as you grasp your pistol, the laser is ready to go. This item was specifically designed for Kel Tec PSAT and P32 to provide quick target acquisition. Both windage and elevation are adjustable. This sight is made from a high-quality material – DuPont Zytel polymer for durability and reliability. The laser gives shooters the possibility to adjust it to their needs, according to their preferences. Additional convenience is provided by the battery door and master kill switch. Master kill switch allows you to turn the laser off when you don’t want to use it while shooting. It is easy to install, because installation will take you only 5 minutes. ArmaLaser is assembled in the USA. The practicality of this sight is ensured also by the fact that you won’t lose zero even while changing the battery. And it works for the left-handed shooters as well. It is a good choice among different handgun sights. Crimson Trace LG-489 Laser-Guard for S&W Shield is produced from high-quality hard polymer with rubber-overmolded front activation. This sight is a good option for quick and accurate target acquisition, because it features Class 3R output 5mw. Wingade and elevation are fully adjustable for the comfort of the shooter. Activation of the laser is instinctive and won’t take any effort. The installation of this item is pretty easy and requires no gunsmithing or frame modifications. Crimson laser was specifically designed to fit seamlessly with the firearm frame. It becomes a highly-functional part of your pistol. This laser system is compact and lightweight – it won’t add any extreme weight to your gun. The additional accuracy is provided by the trigger guard. Needless to say, this item is produced in the USA and is one of the best combat pistol sights. 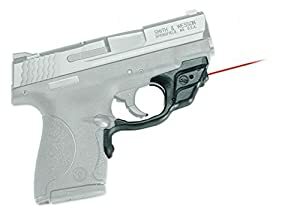 Another advantageous item on my list among handgun sights is Centerfire Laser (Red) For Use on Ruger LC9/LC380/LC9s, because it is made of tough reinforced nylon for integration with firearm frame. It is easy to install and use. 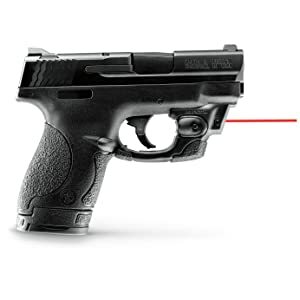 The laser beam is easy to program and adjust to your shooting preferences. The battery life is prolonged by the automatic time-out. Additional protection of the battery life is provided by ambidextrous tap on/off switch. That’s why it is equally good for both left-handed and right-handed shooters. Both windage and elevation are adjustable. Laser features class 3A, 5mw power output. The bright and crisp red dot helps the easy target acquisition achieve different shooting purposes. The red dot is good both in the daylight and during night. 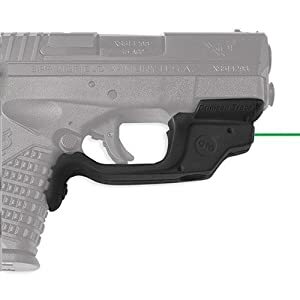 Crimson Trace Springfield Armory XDS Laser Guard is a very durable and reliable sight produced from multiple materials. It provides clean and crisp red dot for any shooting purposes. And it is manufactured in the USA. The beam intensity is 5mw peak, class 3A laser. These characteristics make it perfect for quick target acquisition in any conditions. This sight provides adjustable windage and elevation. The installation is very easy. The green dot is easy to see even in bright daylight. It allows you to quickly aim the target. And it fits the weapon perfectly, taking minimum space. If you are looking for the perfect laser for the Smith & Wesson M&P Shield 9mm and .40 caliber pistols, I’ve got a good option for you. Centerfire Laser (Red) was specifically designed and produced for these weapons. Well-thought design of the item matches the style of the gun. 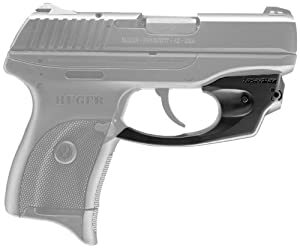 It is one of the best combat pistol sights for the above-mentioned weapons. This sight features 1/3 N Lithium Battery. Such powerful battery provides the crisp red dot with the constant laser beam. That’s why it is perfect for use in any light conditions. Included mounts fit the sight directly to the firearm frame without changing your pistol. Needless to say, this solid sight is produced from high-quality materials for maximum reliability. It tightly fits the gun and locks the position without any movements on a rail. This sight stands out among other options, because of its well-thought design. It is specifically constructed for military use and provides quick and accurate target acquisition. The modern technology of The See All Open Sight works without battery needed. The problem of battery running out is now solved. You can easily aim any target even in low light conditions, due to the “Edge-Glow” polycarbonate technology. Zero parallax means that you aim exactly what you see. This sight is also completely waterproof and ready for action in any environmental condition. It is rugged enough to withstand the weight of a truck – you don’t have to worry about accidentally breaking it. The installation of this sight is very easy; it is mounted on picatinny or weaver rails. And is holds zero. Another incredible product is Tritium-Lit Gen 2 Open Sight. As the item above, it needs no batteries. This sight is produced from high-quality materials and features night visible modern technology. While combining all the advantageous features of the items above, it is more portable and goes for a much lower price. This sight was constructed for military use, which ensures the increasing accuracy of the target acquisition. It is perfect for shooting in low light conditions. Tritium inlay provides reticle visibility even at night time. That’s why it is one of the most advantageous pistol night sights. It is also worth to mention that this sight withstands high temperature. The attachment is quick and easy, through the picatinny or weaver rails. The inbuilt quick-detach knob ensures additional convenience during the removal of the sight. 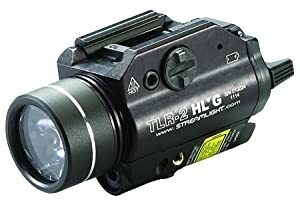 Streamlight 69265 TLR-2 800 High Lumens G Rail Mounted Flashlight with Green Laser is constructed from anodized aluminum high-quality, durable sight. It features C4 LED technology, which stands up to 50, 000 hours. The battery is easy to change, thanks to a tethered battery door and latch mechanism. Green laser is capable to work on a wide temperature range. It also provides high-visibility on the long-range target acquisition. There are green and white laser settings. The sight is water-resistant and will not be affected by moisture. This sight includes keys for Glock-style, Picatinny, Beretta 90two, S&W 99 and S&W TSW. It fits your weapon perfectly. It is suitable for most hand guns and long guns. That’s why it is one of the best combat sights for Glock. Included tool-less rail clamp provides solid repeatability on a variety of different weapons. This sight provides Class 3R laser product, 5mw power output. This intensity is just enough for quick and accurate aiming. Both elevation and windage are adjustable. This sight is perfect for left-handed and right-handed shooters, because it features ambidextrous momentary/steady on/off switch. 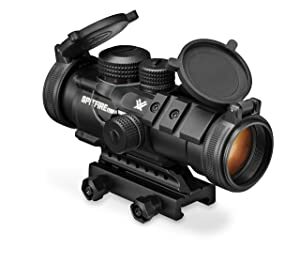 Vortex Optics SF-RG-501 StrikeFire II Red/Green Dot Scope has several advantageous features. First of all, it is a scope and it does provide magnification (1x). It is also characterized by unlimited eye relief and 6-hours automatic shut-down mechanism. 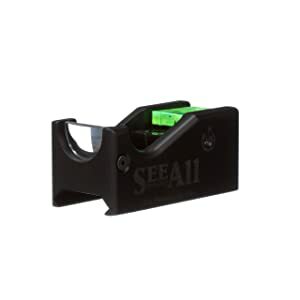 It is one of the best pistol night sights on the market. You can shoot with both eyes open, because this scope is parallax-free. It also includes red/green dot sight 4MOA dot. You are free to choose the dot color according to your preferences. There are 10 brightness settings, two for the night vision mode. The item automatically returns to the last used dot intensity, when powered up. Protection from environmental conditions is provided by the waterproof design of the item and O-ring sealed optic. You won’t experience any internal fogging, thanks to nitrogen purge. This scope works perfectly on a wide temperature range. Optic is fully multi-coated with anti-reflective coating on all air-to-glass surfaces. It increases light transmission and prevents reflection from giving away your position. This item is compact, portable, lightweight and provides windage and elevation adjustments. 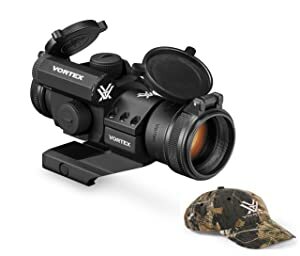 Another scope on my list is also designed by Vortex. 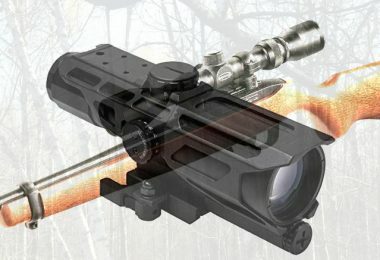 It provides good magnification – 3x (SPR-1303) and is precisely good for AR platform. It is perfect for close and medium-range shooting. And it is equally good for tactical shooting and hunting game. 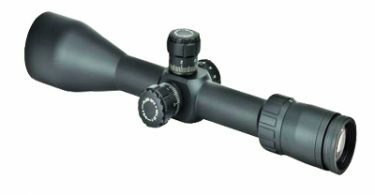 This scope combines ergonomic portable design together with high-quality optic. Etched reticle provides consistent point-of-aim all the time. And you have a possibility to choose between red and green illumination. There are 5 brightness settings. Field of view is 31.5 feet/100 yards and eye relief is 2.8 inches. Both elevation and windage adjustments are possible (max 120 MOA). This scope is compact, portable and lightweight. In this article, I’ve gathered useful tips on picking the best combat pistol sight. No matter what your shooting purposes are, there are some common advantageous features you should pay attention to. 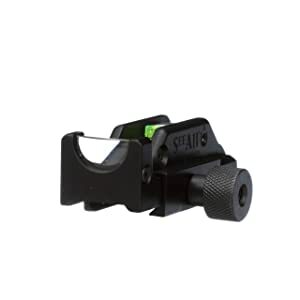 I hope this article was useful to you, so now you are ready to buy a perfect red dot sight for your hand gun.